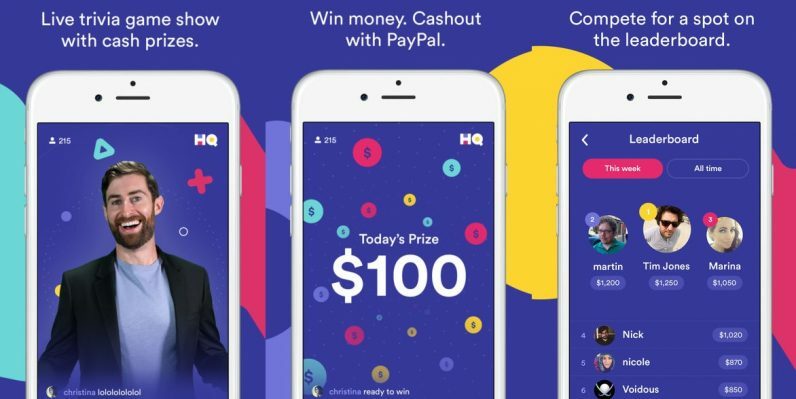 Silicon Valley investors are shutting the door on popular trivia app, HQ. Riding a wave of success in 2017, the app’s founders, Rus Yusupov and Colin Kroll are attempting to raise a new funding round, hoping to land a valuation as high as $100 million. According to a report from Recode, however, things aren’t going exactly as planned. While venture capitalists are always on the lookout for the next big thing, and HQ certainly fits the bill in this regard, many are declining to participate. Some are concerned with the app’s longevity, while others are more than a little worried about the app’s founders. At least three prominent investors have declined to participate so far due to troubling conduct on behalf of the founders found during due diligence. Colin Kroll, for example, comes with a lot of questions after being fired from Twitter shortly after the company acquired his last startup, Vine. According to three people with direct knowledge of the situation, Kroll was fired for being a bad manager, and for his “creepy” behavior toward women, behavior that made numerous former colleagues uncomfortable. He was also difficult to work with, according to conversations Recode had with more than 15 colleagues at Twitter and Vine. They described him as “abrasive and disinterested” and noted he could be verbally abusive to colleagues. He was also known to show up late to work, hungover, and disheveled. And then there’s Yusupov. Yusupov — one of Vine’s other co-founders — was also fired from Twitter. But perhaps his most egregious offense was his treatment of a reporter, Taylor Lorenz. Intending to write a light-hearted piece for The Daily Beast, Lorenz reached out to the app’s star host, Scott Rogowsky. The Daily Beast simultaneously reached out to the HQ public relations email account and Yusupov, one of HQ’s founders, letting him know of our plans to write a story about the show’s host. Several hours later, we received an email from Yusupov stating that HQ was “not making Scott available to discuss his involvement with HQ with the media/press.” The reporter informed Yusupov that we had already interviewed Scott and that the story was nearing publication, but encouraged him to call us with any concerns. That’s when things went off the rails. Yusupov, the CEO of HQ, called the reporter’s cellphone and immediately raised his voice. He said that we were “completely unauthorized” to write about Scott or HQ without his approval and that if we wrote any type of piece about Scott, he would lose his job. The article continues to discuss abusive behavior by the Yusupov, and the fluff piece was ultimately reframed to focus on HQ’s co-founder, rather than its host. Ysupov, for his part, later apologized for his behavior. HQ’s future is an uncertain one. Investors are hoping the app can transition from a twice daily trivia show to a legitimate business that outlasts its viral appeal. That’s a challenge. Placing bets on two founders with known character issues, that’s something else entirely.